You can’t attract an audience to your digital publication without first creating amazing content – and fortunately, that’s your wheelhouse. Once you’ve got the content, you can protect it (but not too tightly) with a metered paywall, allowing readers a taste of their choosing, without giving away the whole feast. That’s our wheelhouse. And of course we’ve talked about the best ways to find extra value in the content you have and to repackage it to find more in special issues. These are the foundational steps to gathering an audience. But just building it isn’t always enough to guarantee that they will come (all due respect to Field of Dreams). Once you have the foundation, it’s time to reach out and engage, to draw them in. You know what we’re going to say now, right? Get ready to fire up your email and your social media. Any kind of outreach can be a daunting prospect…but it doesn’t have to be. Engaging with your audience can get you great results and it doesn’t have to be a burden on your workload. People on your email list are 10x more likely to become subscribers. It’s a beautiful thing, actually. Once you’ve got them on the list, you can send out a weekly (or daily or monthly) email recapping your best recent articles with links back to your publication. They can read the ones they like until the meter on the paywall runs out and they are prompted to subscribe. And almost all of that can be automated. It takes minimal effort to set up this highly effective method of gentle pestering. So then it’s just a matter of getting them on the list. We have seen a few digital publishers do this really well. Military Living is a publication that provides tips and information on the best way for military families to travel. One of the first things that visitors to their website see is a gently greyed-over screen and a prominent invitation to join their email list. It’s a simple thing – just the suggestion that they can stay up-to-date on what Military Living has to offer. If readers dismiss it, they aren’t bothered again until their next visit. But it’s worked for them. They started sending out a weekly newsletter and, in the months that followed, they saw their organic subscriptions grow by nearly 30 percent. If you want to get a little trickier with it, you could combine the technique with one that Track and Field News likes to use – add a pop-up to your most popular pages. You can customize the text to the occasion, as an added draw. Harvard’s The Practice has a different way of gathering email addresses. When the meter runs out and the reader is prompted to subscribe, they’re given another option. They can register (AKA provide their email address) for access to two more free articles. Each of these options for engaging your audience takes minimal effort – you can set it and forget it and it will continue to work for you. Social media does take a little bit more work to get results – but not as much as you think. 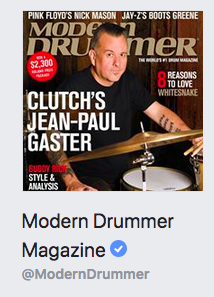 Our old friend Modern Drummer Magazine does a great job with their Facebook page. They set it up to look like a mini-issue: with the profile picture and featured image changed to match their current publication. Most of their posts are simple teasers that link back to the articles of their issues. They take the time to make it look visually dynamic – changing out those featured images and including visuals with their posts – but the heavy lifting is done by Leaky Paywall back on their site. They can share any and all of their articles on social media. Fans can follow the links back to read their articles in their entirety. The meter on the paywall will expire when they’ve reached their limit, just as it will for any other non-subscriber. But the best part is, those readers can share that content themselves – re-post it, email it, send the link by text – and each of their fans and friends can access the shared articles and enjoy what has been sent. The meter starts afresh for every new reader. This puts your content in front of countless new eyes across the web but the access is still determined by the settings you’ve approved. It really can be that simple. 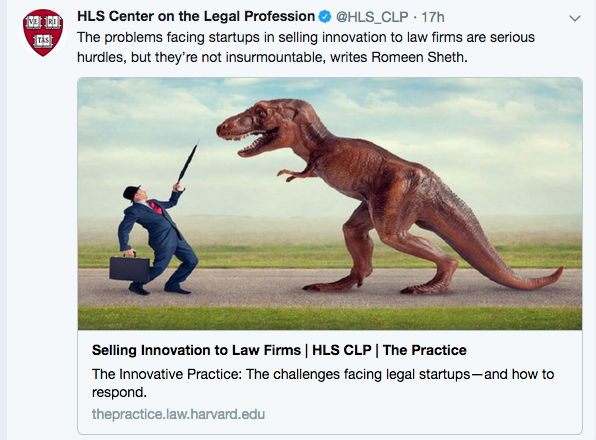 The Practice has had phenomenal success on Twitter since they instituted Leaky Paywall. Their tweets are simple: a one-sentence summary of an article, a nice image, and a link back to their site to read the whole article. And yet the ability to share whole articles without worrying about how much they’re giving away has made a big difference to their audience engagement. They saw their Twitter followers increase by more than 20%, their impressions by more than 1000%, and their engagement by more than 2000% (comparing the six months after to the six months before Leaky Paywall). It didn’t require anything particularly fancy or flashy. But even that simple type of outreach made a huge difference. Build your email list. Automate your newsletter. Start the cycle. Set your paywall. Share your content. Watch your audience grow. A few simple steps, a little bit of time, and you can see your readers become subscribers. Want to know more about engaging your audience? Let’s talk.